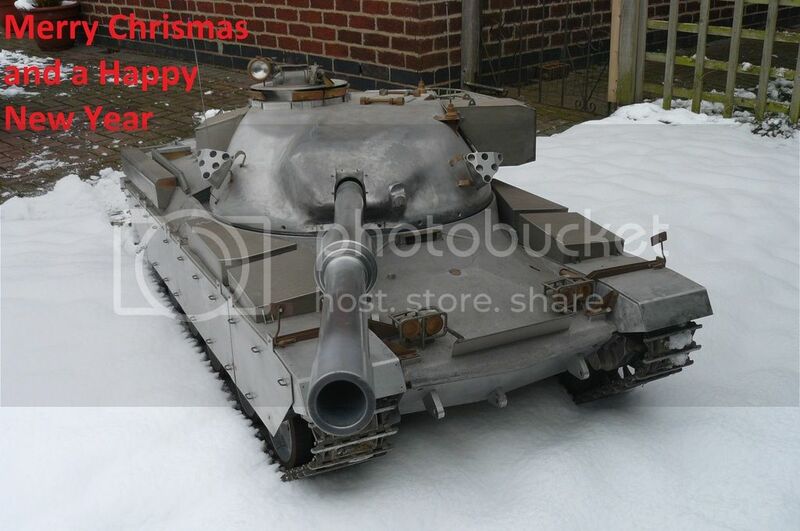 Wouldn't want to miss out on the seasonal "what going to be Armortek's next model" I understand that Armortek, have their hands full at the moment with the SP Elephant, the Late Tiger1, design work of the Famo and mini kits. A few years back I might have been tempted to be Famo trucker too, I ended up buying a second hand SD kfz 7, and then recently brought Quad for "light relief". 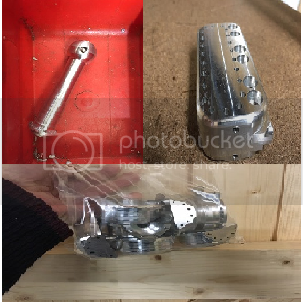 That was the first time I actually had the funds available for a "new available kit"
With all this Famo Famo Famo business going on, thought it might be a good time to get down to the real interesting stuff. So here's my suggestion for real Armoured Fighting Vehicle in the near future. It comes with a "Big Gun", a "Transversing Turret" and dare I say it, "Tow hooks". The first real MTB, with the curves to tempt even the hardest lover of Lego blocked AFV's of today. The historical grind of the TN12 gearbox, coupled to that marvel of engineering, the mighty Leyland L60. Driven gently across the German plains, it's bark like an asthmatic chain smoker could be heard for miles and it's blue plumes of smoke seen even further. It didn't matter, It's the L11A3 cannon and armour made up for all its faults, putting the wind up many a would be chancer, constantly upgraded serving for 38 years. What more could one ask? I don't know about next model league table or a group chant, but with a Chieftain you won't have to worry where the batteries go or horrendous under steer. I'd buy an Armortek Chieftain. That that double take looks like a Tamyia 1/25 or 1/35 mk2, a picture taken with a camera with an excellent depth of field. 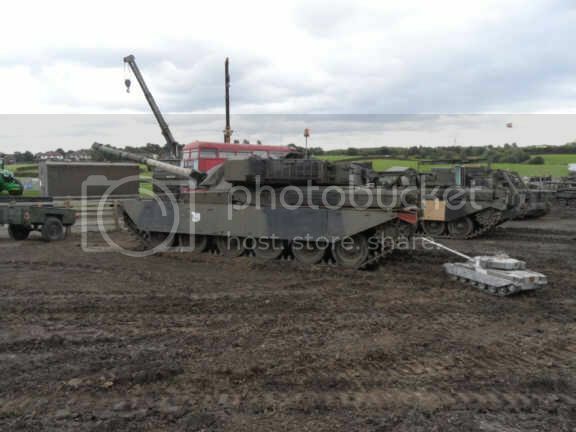 This is my chieftain taken in a field. I cannot bring myself to paint or make external changes to a "one off" most likely built for Vickers for the army to prove 3D radar recognition during the 1970's. (I've only modified the original gearbox mount which had nothing attached anyway, fitted beefed up wheel chair drives, a turret transverse motor and a Benideni sound unit adds to the R/C appeal). Hence the reason why I'd like to see Armortek build it, more detail could be built in, gyros for gun stabilization, recoil, infra red lighting, a flood light and laser range finding. If you want variation there were several mk's to choose from. 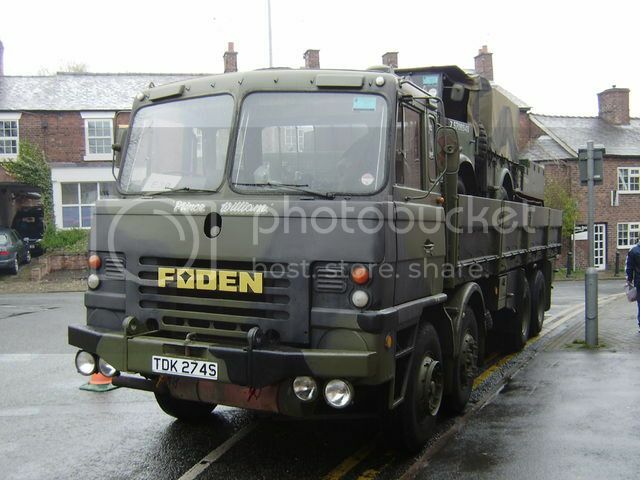 What worries me is that the next Amortek model could be.......... god forbid "A Foden"
Still like all trucks, they make a spectacular soft target. Next thing you know there'll be a spin off division, but............... "Softek" just doesn't sound right. Only a fool would not do Chieftain next John surely! But I'd love to see a 6 Pounder Kompact Kit. And, at some point, a re-issue of the 88 Flak Gun. Because, well.... 88! Cheers and hope you all get lots of Armortek under the tree! Fantastic news, the clues to the next Armortek model. though I fear it may have wheels and tyre's. First is obviously one arm of a flux capacitor, second is a multi point floggle box and the last being a bag of flange brackets to support the Mr fusion combustion chamber. Can't wait for the announcement! Sonderkraftfahrzeug 271 Ausf Z mit Personalschlepper und Funkleitung. A ceiling crawler! I bet you wish it was a Stolly Stephen to go with a Chieftain. A couple of John's guesses were correct .. that's all we are saying for now. Hopefully more pics to follow after the new year ! Thanks Armortek, knowing that the clues are in the topic will help me sleep easier at night. Maybe a tracked model after all, the Bren gun carrier in the picture would make a great Kompact kit addition to the Armortek list.